NBC’s hit comedy The Office is in a state of transition. After 7 seasons in charge of Dunder-Mifflin’s Scranton, Pennsylvania branch, Michael Scott, AKA Steve Carell, is stepping down at the end of this season. Fortunately, he’ll have an old friend to celebrate his final four Office episodes with. Will Ferrell is joining the cast of The Office as a branch manager from the head office for a four-episode arc near the end of this season. Carell and Ferrell will have three episodes side-by-side, then Ferrell will have a solo episode, then… the future of The Office will be determined. 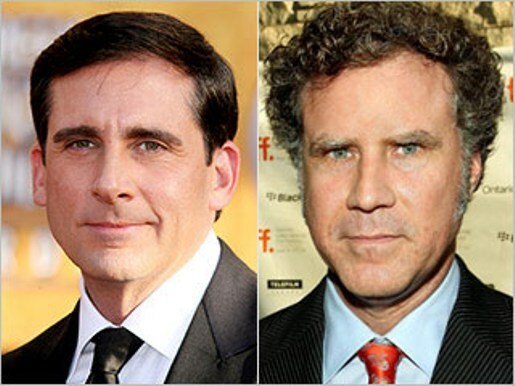 Carell starred alongside Ferrell in the hit comedy Anchorman as mentally-handicapped weatherman Brick. I look forward to Ferrell having many Ron Burgandy-style mental meltdowns and bombastic shenanigans during his time in Scranton.